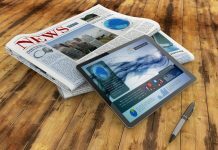 Readership continues to grow across every device – print, web, phone and tablet. Young adults (18-34) continue to embrace the three key media (print, web and phone) to read newspapers. 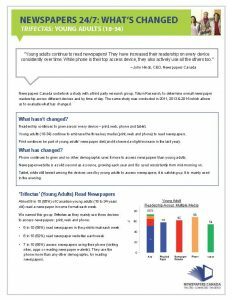 Print continues be part of young adults’ newspaper diet (and it showed a slight increase in the last year). Phone continues to grow and no other demographic uses it more to access newspapers than young adults. 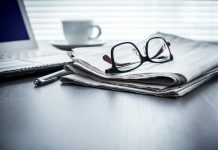 Newspaper website is a solid second as a source, growing each year and it is used consistently from mid-morning on. Tablet, while still lowest among the devices used by young adults to access newspapers, it is catching up. It is mainly used in the evening.